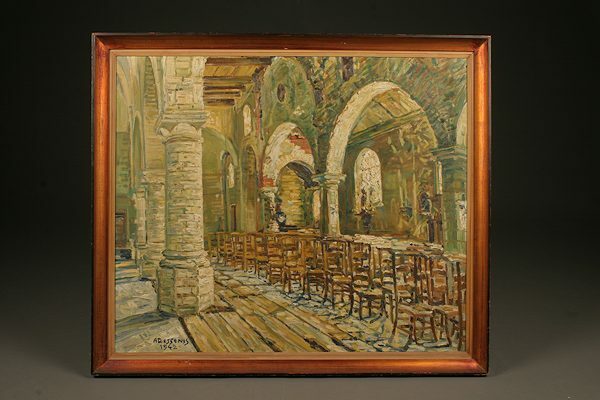 Interior of French cathedral with prayer chairs in the nave.Interior of French cathedral with prayer chairs in the nave. Interior of French cathedral with prayer chairs in the nave. 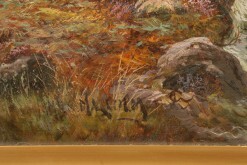 Oil on canvas depicting the interior of a 16th century cathedral with prayer chars in the nave. 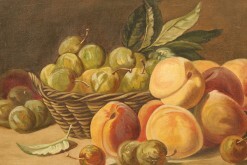 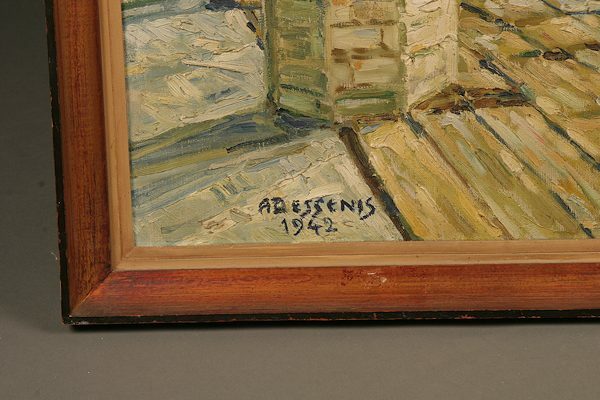 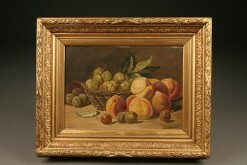 &nbsp;Signed and dated Dessenis 1942. 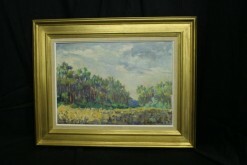 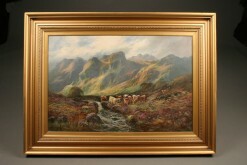 Oil on canvas by James Malcolm of Scottish highland cattle. 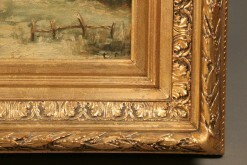 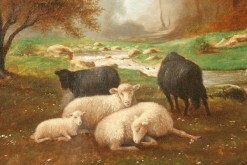 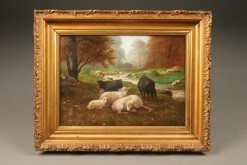 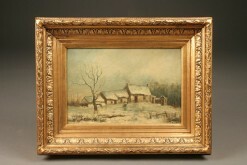 19th century pastoral scene with sheep and shepard.